Features:1: Mini but professional switching DC power supply. 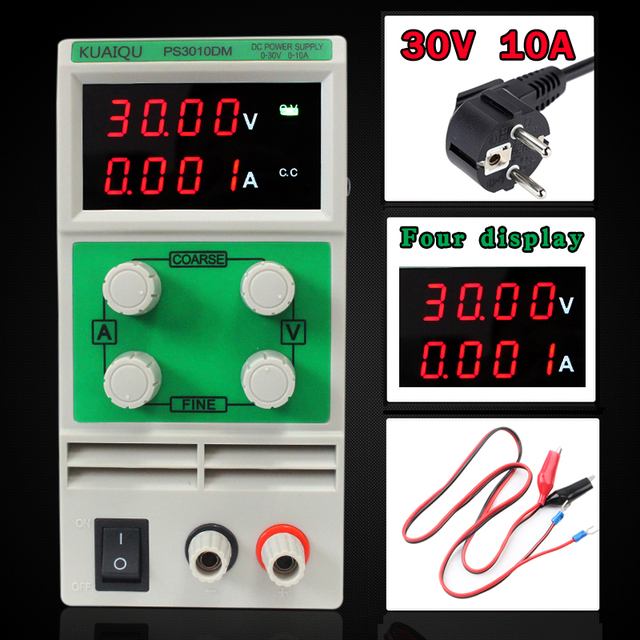 Features:2: The DC power supply has complete operating protection function. Features:3: Highly efficient, low ripple, small volume, light weight. Features:4: Double LED display of voltage and current, high precision. Features:6: Dual voltage input and convenient choice. Features:7: Temperature control fan heat dissipation, low noise. Features:8: Double potentiometer, more precise adjustment. Features:9: With replaceable fuse, convenient to change the protective tube. Features:10: Applied in all other need DC regulated power supply.